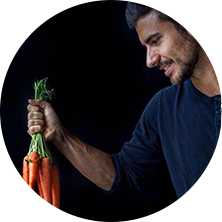 Charcoal bread, Portobello mushrooms, truffle sauce and sweet potato crisps: so many refined flavours in a single burger - Cotto al Dente's Portobello Black Burger! For the sweet potato crisps, slice the potatoes about 1 mm thick with a mandolin slicer. Soak the potato slices in cold water for 5 minutes, then drain them and dry them with kitchen roll. Season the potatoes with oil, salt and paprika. Bake in the oven at 200 degrees for 10 minutes, then turn them over and cook for another 10 minutes. 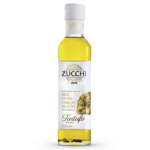 For the mushrooms, pour a spoonful of Zucchi truffle flavoured oil over each mushroom and brush it over the entire surface. Bake the mushrooms in the oven at 180 degrees for about 25 minutes. For the truffle sauce, blend all the ingredients in the blender to form a fairly dense mixture. 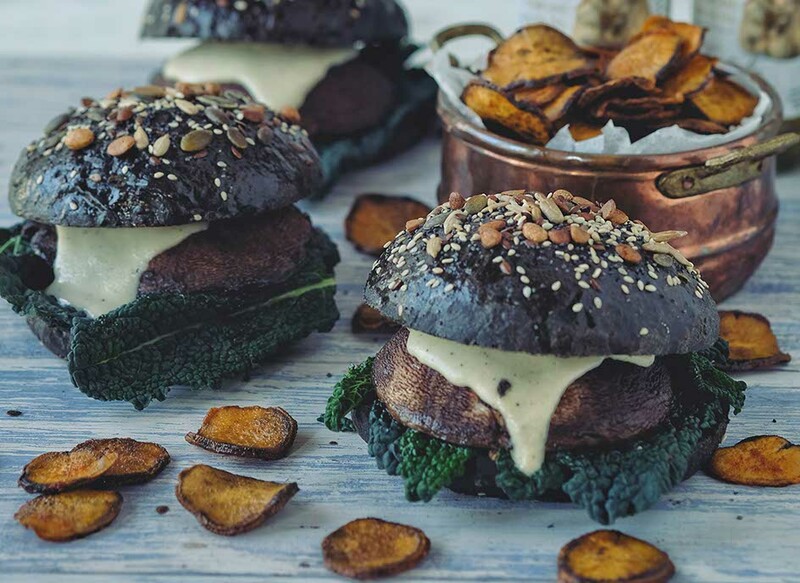 Cut the buns in half and heat them for about 2 minutes in the oven, put the sliced kale on the bottom of the bun and complete with the mushroom and the truffle sauce.